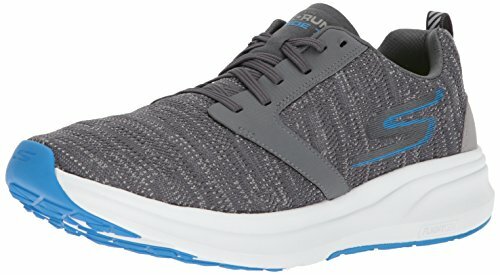 Which Are The Best Shoes For Running? In this article of top 5 best running shoes in 2019, I made this list based on my personal opinion and I tried to list them based on their price, quality durability and more. If you want to see the price and find out more information about these best running shoes, you can check out the links down below. Ok! So let’s get started. The ultra-boost Clima have been on the market for a couple of years but since their initial release, even today users are still continuously purchasing it, which definitely means something. These shoes are available seven colors from which you can choose the one that suits your preferences the most. However, keep in mind that all of them are unique in their own way and the price may differ from one size to another. First I’d like to express my impressions regarding their design due to the fact that they are lightweight and have a highly responsive cushioning. Meaning that running shoes are simply ideal for urban track and gym usage. In addition, the exterior does not only look fantastic but it is extremely useful as well. To be more precise once you take them out of the box. You can notice that their exterior has embedded holes, which will significantly enhance the breathability while you’re running on one side. While on the other, the material included will ensure that your souls will be wrapped in an ultra-light comfort .at the bottom there is a durable full-length rubber sole, which according to the users gives you overwhelming traction. Therefore, I really think that you will love having such shoes. In terms of usability, well they suit you the best during the summer because they are light and have big perforations all over them as I’ve stated previously. So I would advise you not to use them while it is raining or in any harsh weather conditions. For your information, some users have reported that they can get dirty quick. Therefore, you shouldn’t run on surfaces that have mud or dirt. Finally, the ultra-boost Clima can last for really long if you use them correctly and keep care of them. For instance, the main materials and technologies used in the crafting process as the so-called continental brand of rubber that is included in the outsole. The well-known boost technology that significantly enhances the cushioning responsiveness with the intention to keep you energized. The Clima yarns which keep moisture away so that your feet will keep cool and dry. Overall the ultra-boost Clima are worthy of considering so try them and assure yourself of their quality. The Skechers Men’s Go Ride 7 are lightweight running shoes that have been heavily praised by the customers on the market. Moreover, I am sure that when you’ve been searching for quality running shoes this name has popped up multiple times. So let’s find wise the whole hype going around them. The Go Ride 7 is available in 4 color editions such as the black and white edition charcoal and blue navy and light blue. so you can choose the one that suits your needs the most without thinking twice because all of them look and feel spectacular. These running shoes are well cushioned and what I love the most about them as the two-toned breathable knit upper, which makes them capable of accommodating your foot properly. So you will never feel tight while wearing them or running. In addition, thanks to its construction you won’t have to tighten them hard because the material has a little stretch. Therefore, it won’t really matter if your foot is narrow or fat but what will matter as the comfort you will feel. I would also like to mention that the midsole has a so-called Flight Gen cushioning, which is a new foam that Skechers is using. and what’s so special about it is that it is ultra-lightweight and responsive. So you will feel a really smooth transition while you’re running. When it comes to the outsole well most of the users claimed that they were impressed of its durability and of course the high traction delivered, which is always welcome. Especially if you’re looking for a pair of shoes that you will use for running purposes. At the inside, you will find a padded collar and a gusseted tongue, which feels overwhelming as it was reported by most of the customers and the reason behind this is that the tongue will keep your feet secured in place on one side. while on the other it will provide you comfortable jogging. So from now on injuries will never be a problem. Overall if you’re looking for best running shoes that offer a great value for their cost then the Skechers men’s go ride 7 or for you. The Bondi 5 would be a good option for best running shoes. If you’re looking for well-cushioned running shoes that can be used for running short distances on the road or for running on a treadmill. That’s why let’s dive into action in order to find out what’s so special about them. This unit comes in multiple color additions and sizes with a price that ranges between models but what all of them have in common, as the sleek style in the high Comfort they provide while wearing them. The materials used during the crafting process are not only quality but also they are durable as well. For instances, the upper of these shoes is made of a breathable mesh that has two purposes. One of them is to provide your feet with a cool airflow while the second is to ensure that you will feel a remarkable comfort as you’re running. For your information, these shoes are suitable for every user or to be more precise regardless of the form of your feet or size. The Bondi 5 will suit you perfectly and I think that you will notice that once you get them. Since we are talking about the upper part. I’d also like to mention that the manufacturer has used a so-called 3d print structure which will support your feet even more so your feet won’t feel tight and fatigued even if you’ve been running for a prolonged period of time. Moving on the midsole is made of a plush-eva material that strengthens the durability of the shoes themselves on one side. While on the other, it adds a responsive cushioning so that your feet will not feel tired. 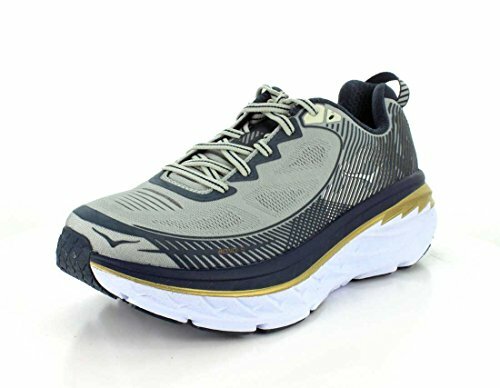 I would also like to mention that these running shoes have an ortholite insole, which does a good job of providing additional cushioning with the intention to support your arch. Therefore, for now, I’m really unable to find any remarks. Finally, the outsole of these running shoes is made of a durable rubber that reduces the weight. While you’re running and in return, it increases the durability, which means that you won’t find any noticeable difference even after a year or two of usage. To conclude the Bondi 5 deserve your attention because they feel as good as they look. 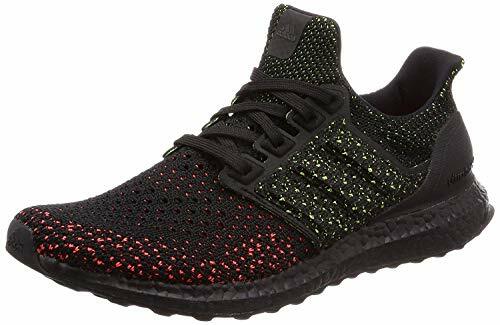 The Adidas ultra-boost is one of the best if not the best all-terrain running shoes that may be used for virtually any reason. Starting from fashion casual use and running the ultra-boost simply radiate with elegance and comfort. This model is available in multiple color editions where each of them varies in size and price. However, I will deliver you something that all of them have in common. Therefore, you can’t go wrong with either option you choose. First of all, Adidas has used its famous energy-returning boost technology on the midsole, which makes these running shoes excellent at providing lightweight cushioning while the presence of its unique mesh and on the upper soul can provide you maximum breathability for your ultimate user experience. For your information, the midsole integrates a cloud foam as well and if you’ve had Adidas shoes with a cloud foam I’m sure that you’re familiar with the feeling you have while walking. In addition, the ultra-boost have a bootie construction, which I absolutely favored due to the fact that this construction wraps your feet, delivers a higher level of support and protects them of undesirable injuries that may often occur as you’re running. When it comes to the outsole Adidas used a so-called continental stretch web, which will guarantee you a superior grip and comfortable use in both wet and dry conditions. Therefore, the chances that you will slip while you’re running are set to the minimum if not to zero. According to the users, the insole doesn’t differ from the other parts of these running shoes in terms of comfort and that’s why you will feel the exact pleasure while wearing these running shoes on the road, gym, track and in virtually any terrain. Therefore, I have to admit that Adidas did an excellent job here. Before we end, I’d also like to inform you that these shoes were praised in terms of durability as well. 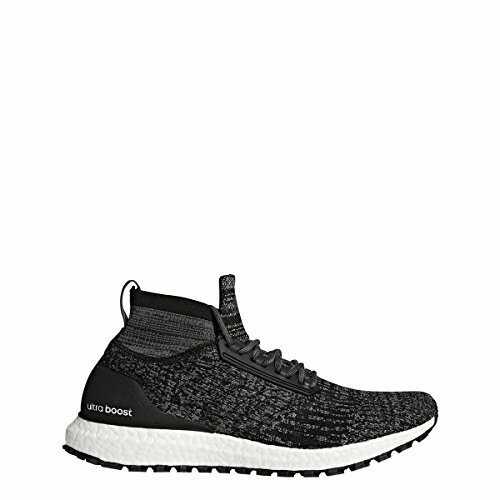 Since most of the runners who have tried these shoes have stated that even if the terrain was tough, the ultra-boost have succeeded to maintain their original look. However, the only remark they had was the price because these aren’t the cheapest running shoes you can find on the market but you can definitely consider them as a lifetime investment because of their wonderful construction. 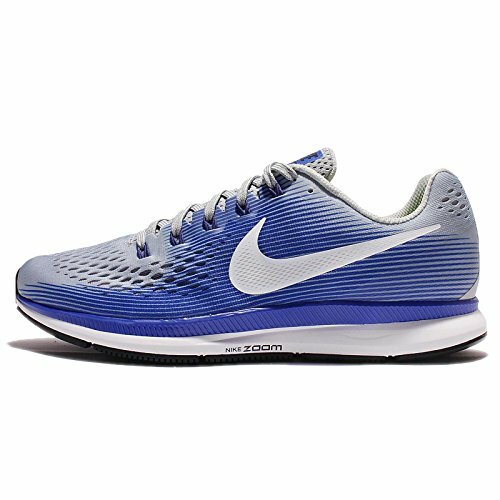 The Nike Air Zoom Pegasus 34 would be an extremely good option for you. If you want to invest in a quality pair of Nike shoes that are capable, enough to expand the borders of what does a comfort actually mean. These pair of running shoes are available in numerous colors and sizes. Therefore, you can choose those who suit your preferences the most without any problem, as each of them is unique in their own way. that it has some holes which will offer you a greater level of breathability so that your feet won’t feel tight and tired after running for a longer period of time. At the forefoot, you can also notice that there are bigger pores as well so in terms of breathable I’m sure that you will have the most comfortable running sessions as you always wanted. Moreover, the midsole is covered with a Cushlon Foam that is accompanied by Zoom Air heel and forefoot airbags. and what’s really interesting about these materials is that you will have a smooth riding feel while running. In fact, most of the users have claimed that the transition feels fast and as you’re increasing your pace these shoes will give you a feeling like you’re floating in the air. The outsole is made of a full-length hard carbon rubber, which was specifically engineered to handle the absorption, while you’re running and to offer you a stable grip at the same time with the intention to reduce the chances of injury as much as possible. Last but not the least the internal part of these Nike running shoes consists of a removable foam insole which is anatomically shaped and this by default means that you the curves of your under foot in the arch will be extremely supported. To conclude I would recommend you consider these running shoes seriously and if you ever decide to purchase them you will assure yourself why thousands of runners use them.